Since BioLite has already perfected stove design and garnered the highest achievement known to man with their HomeStove, there was only one thing left to do: make it bigger. 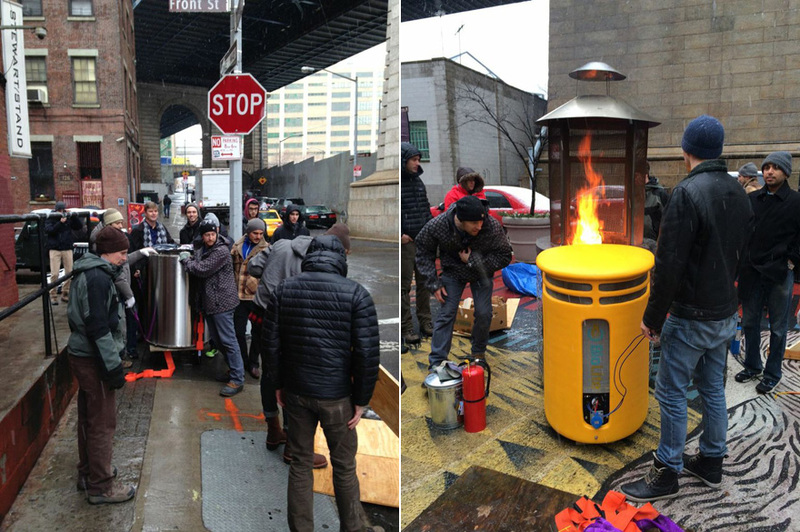 The 2012 Core77 Design Awards-winning company is continuing its mission to bring light and heat to everyone by powering the Brooklyn Christmas tree with their new super-sized thermoelectric stove / generator. Sure, the Dumbo FirePit is a meant to be a festive holiday installation, but we can’t help but think of it as a way to commemorate the launch of the Design Awards program earlier this week. 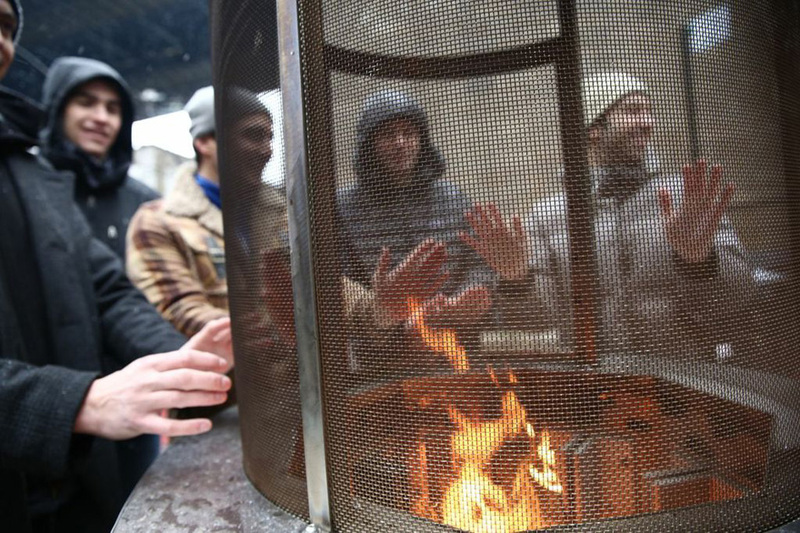 The generator—a giant, 500-pound outdoor fire pit—will use their signature technology to produce enough wood-burning electricity to light up the Christmas tree, keep visitors warm, run a cell phone charging station and put on a light show. Not only does the superstove pack some heat, it pumps out a fair amount of juice as well: According to BioLite, the structure creates 1,000 watts of electricity—enough to charge 400 cell phones. 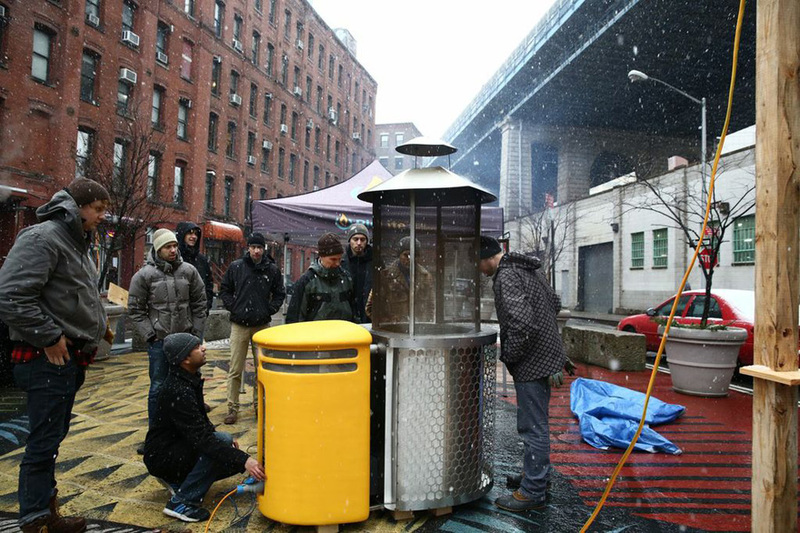 Although the company doesn’t have plans to bring it to market—it may travel for other pop-up events—it’s a worthy successor to Pensa’s Street Charge, which was also supported by a small grant from the hyperlocal DUMBO Improvement District this past summer. If you did’t make it, don’t worry—the fire pit will be powering through the cold weather with fire-fueled festivities taking place from December 12th–23rd nightly until 8pm.